A while ago, in a post entitled The Publishing Renaissance, I wrote about how when Religious Zionist/ Centrist/ Modern Orthodox Jews in North America and the UK complain about the "slide to the right" in Orthodoxy, or about how their children have become charedi and expect to be financially supported for the rest of their lives, it irks me. After all, it's their own fault! They have failed to make a basic effort to perpetuate themselves, whether with regard to producing educators, or with regard to literature. We are the People of the Book, and books form a major part of our lives. They influence us in all kinds of ways, from the role models that they choose to present, to the sources that they choose to quote, to the hashkafic outlook that they reflect - often very subtly. And yet, for many years, Religious Zionist, Centrist and Modern Orthodoxy ceded this important field almost entirely to the Charedi community. Sure, there were always non-Charedi publishers. But they were small operations that did not present a comprehensive range of publications, and just published whatever came their way. It's ArtScroll that has been overwhelmingly dominant. Every shul in North America has ArtScroll Siddurim, Chumashim, and Gemaras. Many people like to mock or protest ArtScroll for their approach, which includes such things as censoring the non-charedi opinions of Torah scholars and altering texts. But I don't think that such criticism is entirely fair. ArtScroll had a comprehensive vision. They went ahead and exerted enormous effort to fill a huge gap, for which they deserve much credit; of course they are going to reflect the approach of their own community. Where on earth was everyone else? The donor pages of ArtScroll publications are astonishing. Few donors are charedi - they are mostly modern Orthodox (or even non-Orthodox) Jews. Why are these people sponsoring publications which are from a different community and do not reflect their worldview? The answer is that there was no alternative. There was no YU Talmud or OU chumash to compete. Only ArtScroll was serious about publishing a full range of Jewish literature. Well, finally, things have been starting to change. There is the OU Press, which recently published the Mesoras HaRav Chumash. And there is a huge development, which finally marks a publishing renaissance for Religious Zionist, Centrist and Modern Orthodoxy: Koren. Koren is the only Jewish publisher aside from ArtScroll to have a comprehensive publishing vision. They are putting out siddurim, machzorim, and a Shas. They are working on several Chumashim and a series of works on Tenach. In this post, I would like to briefly review some aspects of a halachic work published by Koren: Rabbi David Brofsky's Hilkhot Mo'adim: Understanding the Laws of Festivals. As its subtitle indicates, this book is very different from those in the ArtScroll/ Feldheim/ Targum genre. Most such books in that genre usually just give the bottom-line halachah, so that one can follow it correctly. Rabbi Brofsky's book, on the other hand, is about understanding the halachah. It takes the reader through the development of the halachah from the primary sources in the Chumash, Mishnah and Gemara, through the Rishonim and Acharonim, down to contemporary practice. It also includes a discussion of the reasons, symbolism and significance behind the halachah. Furthermore, Rabbi Brofsky applies a scholarly analysis to the discussion. For example, on p. 595, he writes that "Rashbetz insists that this Rambam must be based upon a scribal error, but reliable manuscripts indicate otherwise." As a book reflecting the Religious Zionist approach, this book also includes sections pertaining to Yom Ha-Atzma'ut and Yom Yerushalayim. It also quotes non-charedi rabbinic authorities. See, for example, the reference on p. 484 to Rav Hershel Schachter permitting regular toothpaste on Pesach, and the reference on p. 419 to Rav Aharon Lichtenstein's sanctioning of women's megillah reading. Rabbi Brofksy is also not afraid to quote extreme charedi views (which would normally be censored by English charedi publishers), and express his opinion of them. In discussing the beating of the aravot, Rabbi Brofsky quotes the view of Rav Moshe Sternbuch that the arava, which has no taste or smell, is comparable to the sinners of Israel; "When the arava is taken alone, we are obligated to beat it on the ground, to hint to us that those sinners who separated into their own groups, such as the Reform, Conservative, Nationalists (leumi'im) and the like, since they come by themselves, we are obligated to "beat them" until they surrender and are lowered, and not to bring them closer at all, and certainly not to bind ourselves to them." Rabbi Brofsky notes that this view is "somewhat shocking" and contrasts it to the view of Rav Kook, who explains that we do not beat the aravot, but rather beat with the aravot, invoking the fervor of the simple Jew. At 750 pages in length, this is a very comprehensive work. It is truly a book that everyone should read, to deepen their understanding of the halachos of the Jewish year. Hilkhot Mo'adim is a very worthy part of the Koren comprehensive publishing vision for the Modern Orthodox and Religious Zionist communities. 1) they still don't have a "Stone Chumash" of their own. They have lots of alternative and multivolume Chumashim but nothing in Hebrew and English that can be used en masse. 2) Their Hebrew selection is even greater than their English but they don't advertise it very well in North America. For example, how many people know that Rav Adin Steinsaltz, shlit"a, just released his Chumash Shemos complete with his interpretative translation and commentary, just like his Talmuds? But it's all in Hebrew so news about it isn't spreading. They have a Chumash, but it just has a translation and some maps and the like- not a commentary like Artscroll's. There is a Sacks Chumash in the works, though, which is probably what you're looking for. And of course they have a new Hebrew Chumash with Rashi, Onkelos, etc. One other thing: Koren prints on both continents, so of course the Hebrew stuff will be more marketed in Israel and the English stuff in the US. Less shipping, and the bigger market in each. A normal response to Dirshu is necessary as well. Dirshu Mishna Berura has taken over every Beis Medrash and Shul. It is so narrow in who it cites, it is astonishing. Chief Rabbi Yitzchak Yosef criticized them in his Motzae Shabbos shiur for ignoring his father and not ever citing him (they do cite more yeshivisher and machmir Sefardim). It is either politics or else they are afraid of meikilim. Dirshu is essentially a publicity machine for a 'groisse gvir', but his idea of organized shiurim is good. (I attended one in my MO shul for over a year.) Don't know about his paying people to learn / take tests. Since its a publicity machine, he is obviously hesitant to bring in sfardim whom he can't control, and will go off making publicity without him, as sfardim are wont to do. Forget Dirshu. The MISHNAH BERURAH has taken over the halachic process. Amohl, the rabbonim used the Aruch Hashulchan as the standard. But over the last fifty years the MB has become the go-to guide, despite many innovations. This is part of the process of Halachah leaving the hands of the rabbinate and entering the hands of the roshei yeshivah. Chalilah vechalilah, my comments should not be interpreted as any kind of negativity toward the saintly Chofetz Chaim. I am just presenting the facts. Ot's a bit more complicated than that. Arosh Hashulchan was and is still more standard among poskim for his final psak. His decision process has more basis in minhag and mesorah. Furthermore, he wrote on almost all of Shulchan Aruch. Mishna Brura is based on the basic poskim, and often ignores minhagim that are based on the minority opinions. That does not make him an innovator. The reason for the Mishna Brura's jump in popularity is the fact that Litvish yeshivas do not study halacha beiyun. Gemara is studied beiyun, but that iyun does not include the poskim. Mishna Brura is written on Shulchan Aruch and summarizes the poskim and fills that gap. Aruch Hashulchan skips the summary, thus a seder in Aruch Hashulchan would leave the student much less knowledgeable of the process. As for the Dirshu editions and tests. I actually find the books extremely superficial, and unhelpful. They are in no way even close to the level necessary to pass the Chief Rabbinate's tests. My Rosh Yeshiva, Reb Henoch Leibowitz, ztz"l, despite being a great-nephew of the Chofetz Chaim, held that we pasken like the Aruch HaShulchan over the Mishnah Berurah (although we learned MB in the Yeshiva Halacha seder). Among the 'innovations' that RAKotler pushed for was establishing the MB as the halacha in america (over the prevalent) AS. Having been raised "out of town," despite having ArtScroll works in the house and its siddur in my tefillin bag, I think I was in my 30s before I realized it was a charedi enterprise and reflected charedi views exclusively. If you ask me, much of the non-charedi "out-of-town" world (that would be Jewish communities outside the NY area) labors under similar misconceptions. Or did 20-30 years ago before AS was the juggernaut it is today. The Peninei Halakha series is also emerging and it's excellent. What I'd love to see from them is a series Artscroll was going to do but backed out of (for fear that it would negatively impact yeshiva rebbe's authority): a series of English books that give Iyun on the major yeshiva limudim. Imagine a volume that goes through the sugyot in the major perakim in the 3 bavas, kiddushin, gittin, yevamot, Pesachim, Makkot, and Ketuvot, with an explanation of Rashi, Tosafot, Rishonim, and important Acharonim. This would be a major scholarly undertaking, but imagine each volume as an English shiur text that could help people delve more in depth into their daf yomi studies, or that would serve as a go-to reference when learning in yeshiva. By the way, Koren (actually Maggid, an imprint of theirs) has a lot of other halakhah works, from YU (nidda, cooking on Shabbat, lashon hara, others) and from Har Etzion (kashrut, chagim, tefillah, others) as well as others (they're translating R' Melamed's Peninei Halacha series, which is standard in the Dati Leumi world, R' Rimon's book on Shemittah, etc.). There's another reason for Artscrolls predominance: Financing Jewish publishing is at best a dubious financial venture. By their joining a fund-raising charitable foundation with a profit-making business, they have been able to profit nicely. Doing this type of joint non-profit/profitable requires some finesse and a strong stomach, enough to keep most out of the industry. Certainly a YU or an OU would be too carefully watched to allow this. Sounds right! The Art Scroll folks, since I was in High School, have spent a generation financing, building, publishing and distributing where others have feared to tread. If they are Chareidi, more power to them. I graduated from a Yeshiva High School so their approach was never off-putting to me. Non-Chareidi 'shock' at the approach can be attributed to the generic, secular, non-Jewishly-educated mass of American Jews. Although I may not be overly religious, I am moderately academic, and have ammassed libraries of Jewish Books. Most American Jews have none, I imagine. Art Scroll is entitled to their dominance. Just like with capitalism - they put in the work, they should reap the rewards. No non-Orthodox entity has spent a generation rebuilding after the Shoah. They are not entitled to throw stones. I would be the first to applaud and to appreciate Jewish academic publications such as those published by Koren! ". . .they have been able to profit nicely." It's a private company, how do you know? There have been many "understanding halacha works." Rabbi Bleich has his books, there is the Journal of Contemporary Halacha, etc. etc. etc. What is missing is a Kitzur or Mishna Brurah which includes liberal psakim from other mainstream poskim in the footnotes or explanation section. Something you can give a baal teshuva or young person (or your average baal habas) who just wants to know the bottom line: What do I do? koren aren't always more reliable in their approach. In chaim shapiro's book, changing the immutable he criticised artscroll for censoring a rashi that states he holds with literal tikun sofrim 'בראשית יח:כב 'אשר הפכוהו ז"ל לכתוב כן - I looked in a koren chumash rashi and they had also censored it. You can actually see the censored phrase in the oldest copy of rashi available (hand written by his grandson, a tosafist) on hebrewbooks.org. I was pretty disappointed as I had thought koren claimed to look through old manuscripts to ensure the reliability of their sefarim. Sorry, I had 'go, my son' on my mind. Marc Shapiro. As alluded to briefly above, a worthy contender is the most recent edition of the Koren-Singer Siddur as edited and compiled by R. Sacks. This is a fantastic alternative to the ArtScroll and the default siddur in the United Synagogue. Does this sefer have haskomos, and if so from whom? I'm not attacking, just interested. Art Scroll years ago published a book which was by the rav who was m'gayer me, Rabbi Bertram Leff. Officially it was an O-U publication, but it was, and still is printed and distributed by Art Scroll. Knowing that Art Scroll must answer to the Hungarian chareidim -- a task not unlike meeting the standards of Texas school text book censors -- Rabbi Leff was somewhat surprised when Art Scroll posted an ad for his book in The Jewish Press. The ad noted that the book is a collection of essays about each parasha based on teachings by Rav Solovechik. 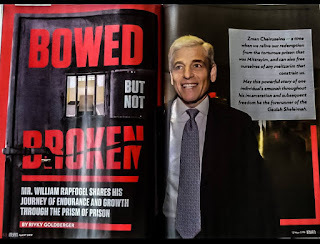 Rabbi Leff is friends with Art Scroll's co-founder Rabbi Meir Zlotowitz, and when he saw him one day, he never thought they would publish an ad like that. Rabbi Zlotowitz replied: "Did you notice that we only published one ad?" Regarding any Art Scroll halacha book, according to my late rav, Rabbi Gedaliah Anemer, zt'l, the key is to read the footnotes that are written in Hebrew. The English text takes the side of the chumra, and the Hebrew text will tell you what others say. The NCSY bencher (probably their most 'popular' book.) For example. The OU has a lot of their books distributed through Koren and others. I don't have a substantive objection to your post, but I wish you wouldn't use the phrase "people of the Book". It's actually an Islamic phrase that distinguishes Jews and Christians from other non-Muslims in that they have a "Book" (the Jewish scriptures and levadil the Christian ones, respectively) that Muslims consider to be divinely inspired - albeit corrupted. Historically, "People of the book" were often treated better than, say, Zoroastrians or Hindus. So the phrase doesn't describe Jews alone, and its use is an implicit cultural cringe to the bloodthirsty and tyrannical Moslem regimes under which our ancestors suffered. It isn't really a compliment: it meant that they were second-class citizens. By now it's become a Jewish expression as well. (And, in fact, is not really used within Islam.) These things happen. By the way, Zoroastrians were "people of the book" as well, and it was later expanded to Hindus and other Asian religions. It's a term taken from the Koran. Do a search for the English transliteration of the Arab phrase "Ahl al-Kitab" and you'll find many references. I would love to see a Koren Aruch HaShulchan! Oz Vehadar already made sure to re-publish the Ah"Sh with notes telling you how the Mishnah Berurah held - so that you don't make any mistakes! As a point of fact, the Kesher Israel Congregation in Washington, DC, does not use Artscroll products and is perhaps the first shul in North America to utilize the Koren Sacks siddur exclusively. Very interesting! That was my (beautiful) shul as a child in the 70s! 2. Not exactly a shul to look forward to. 2B: they might hire a YCT rabbi. I admire Kesher for bringing the Freundel mikveh peeping scandal to the cops immediately on discovering it. Most other shuls would have covered up and at best forced him to resign without warning others. They are unique. O Hashem, from the ArtScroll Commissar free us! Hopefully Koren will come out with a commentary on Shir Hashirim & give English readers an alternative to ArtScroll's insulting prudery. There already is one by Rabbi Sacks-it's in the Sacks Pesah Mahzor. (1) Koren relies too much on Chabad sources. That is not mainstream Judaism. Chabad people might care what Schneersohn said about everything, but I (and others I know) am not. (2) There was some criticism with the Koren Talmud came out that some of the commentators that they used had "unusual" backgrounds, like criminal records. Why would I want to have that in my house? If Koren had stuck to mainstream, reliable sources, they would have a place on my shelf. Can you provide examples of these? Other than a few comments I haven't noticed a lot of Schneerson in the siddur or Mahzor, for example. (1) Is it Koren that relies on Chabad sources? Or are you perhaps referring to R' Sacks' work? He is a big fan of the last Lubavitcher Rebbe. But that would be him, not Koren. My stepson worked on the translation of Rav Steinsalz's commentary and so did another semi-frequent commenter on this blog, I believe. No criminal activity involved. I wanted to clarify - when I refer to criminal past I am definitely not referring to R' Steinzalz. There was a quote/comment in the first several pages of Brachot to a different Rabbi in Israel that has been charged; I remember seeing other reviews at the time mentioning this, and have seen news articles about the Rabbi in question. My point more was why use as a reference someone like that. 'fellow traveler' and follower of the late Lubavitch Rebbe. However, his Talmudic works don't appear to show such influence. It's a case of guilt by association. Wrong Pinto, friend. The one quoted in the KTB is the commentary known as the Riaf, printed in the Ein Ya'akov. In any case, you probably owe someone an apology. The pinto's are an old distinguished family. As i recall, they date back to 'gerush sfarad'. It's the name 'concerned observer' that gives his comment away as a nasty attempt at a hatchet job. kol hakavod to those who gave his game away. concerned? yes. concerned that koren might just become popular and educate people properly. but not concerned about what he claims to be concerned about. In his edition of Middot, R' Steinsaltz uses Machon HaMikdash paintings and diagrams. However, while the Machon's Menorah has round arms (as the Menorah actually had), they made an alternate version of their painting of the lighting of the Menorah in which is has straight arms to be used in Chabad publications. R' Steinsaltz uses that one, I assume because he's a Chabadnik. It's kind of funny, because the Machon published a whole book defending their design of the Menorah. Anyway, it's a minor point. Resh Lakish had a criminal record too. So what? No response from the original commenter. Big surprise there. As an anecdotal aside - attended a 'Conservative' shul in Atlanta this weekend (for a family affair) that used the AS. The service was straight-up formatted as an Orthodox service and no different to my shul. The only difference was women could receive Aliyot and read from Torah. Had never witnessed that in the US before. Did they self-identify as 'Conservative' or is that a euphemism for self-identified Orthodox but very LW? Was there a Mechitza and/or separate seating? Conservative - no mechitzah. Mixed seating. Several black families as well. The Rabbis droshe was an attack on the treatment of Masorti in Israel - and especially the Kotel. It was an uncomfortable moment as he described acts of violence. Oh, OK. I didn't understand that it was mixed seating from your original description. Based on my experience, that seems to be a very common (only?) subject of Conservative sermons. It's almost like they *need* the "discrimination." You'd think they'd have something more positive to focus on. Nachum, it's not like anybody in Tanach ever complained about us treating our fellow Jews poorly after all, right? I mean, we all know that the prophets taught that strict observance of ritual was more important than taking care of our own. Meir Moses, I don't see what black families have to do with anything. There are black families in my local Orthodox community as well. I was not aware of a skin color condition for yahadut, whether by birth or geirut. Competition is good and welcome for siddurim and other seforim, but for halacha - meeh. The reality is, the more modern crowd really isn't interested in it. That's not a criticism; to the contrary, its a mark in their favor. They pretty much do what their parents did before them, or follow common sense. They are not interested in the minutia of contemporary halacha digests or even, frankly, the mishna berurah. To the extent the more modern crowd uses such seforim, its because a mistake in their upbringing or teaching allows them to think the hyper-halachic approach is somehow better. If Artscroll or the charedim want the monopoly on halacha seforim, let 'em have it. Very true. I have heard that prominent scholars also lament this phenomenon. I heard a scholar I respect denounce these hyper-detailed halachic books. The one that really made my wonder was the Artscroll book on Berachot which was filled with complex flow charts and which, in my mind, turned eating something whose beracha was not immediately obvious into a spiritual ordeal, especially when one is hungry at the time of halachic indecision. The bottton line is that this illustrates a view of ideal Jewish spirituality that more and more Orthodox Jews can't relate to.....i.e. the essence of Jewish service to G-d is to spend a lot of time worrying about halachot of this type even when the halacha itself gives relatively simple options for dealing with uncertainties of this sort but which are dismissed in these compedia as being nothing more that spiritual laziness in their eyes. Irrespective of your points, halochoh seforim have to be written which give the basic halochoh. The style could be argued about-maybe more Mishna torah, less dirshu, but either way nobody's going to know the basic concepts of the 39 melochos of shabbos without learning them. Watching your parents is not enough. A musing: I personally am unsure of the attitude of the rishonim on how much to focus on the minutiae of halochoh. Halachic works of the rishonim vary greatly their intricacy, from the baal halachos and mishneh torah on one side to the various halachic works of the rashbo on the other. Admittedly none were quite so detailed as today's works, but then again there was less material to include. שו"ת of the rishonim don't discuss cases of everyday halochoh quite as intricately as today's poskim but they still did it to a fair extent and the difference could be put down to other factors. Also, even in the mishneh torah, whilst the halochoh is written with only a minimum of detail, and one is supposed to apply that to other case from that, it's clear that the Rambam himself considered the halochoh of every situation he gives in the utmost detail before paskening. Perhaps then the attitude was something like this: there is a fine level of detail to halochoh, and the minutiae are not irrelevant. However neither are they the be all and end all. To those who were capable of working them out: great. Everyone else should just apply the halochoh to the best of their knowledge, and that is the main thing. One attitude that has almost definitely changed is wrt chumrah. I believe that the current attitude of having to be machmir, of having to be yotsei yedei chovoso according every opinion is an innovation. The more traditional approach was to pasken, follow that pesak, and that was it. Someone disagrees? Fine, but this is how I learn the sugya, and and God won't punish me if I follow it through. Disclaimer: I’m bringing very little evidence to back up my claims. I'm mostly just thinking aloud here. In fact I'm probably way off the mark here. Also I personally am not claiming that just because this was the rishonims approach this is the correct approach. I am aware that the views and philosophies of the rishonim were as much of a cultural phenomena as the views of rabbonim today, and the views of the Amaroim. Every generation has had numerous differing takes on Judaism, and Judaism has had many different faces over the years. Some on this site tend to think that the rishonim kept Judaism perfectly, exactly as God wanted, and only on recent times has our generation dropped so low as to have aberrant philosophies of Judaism. In my opinion this a myth. Judaism is fluid. It is constantly changing, and already by the time of the Tannaim it looked very different from how it did at sinai. We ourselves are deciding which course one of its branches will take for the next few years, before it bends in another direction once again. We can but try our utmost to work out what God wants from us. Will we get it wrong? Probably. But that's how life is, and I don't believe Keil Rachel vechanun will punish us. And indeed it is (mostly) by this process that Judaism has evolved over the centuries. Instead this comment was just meant as a historical side question which may have some bearing on the topic at hand. It all depends on how you look at it. Were halachot set by God to protect you from intrinsic evil that damages your soul or are they a system to follow to live your life as God wants you to (Rav hirsch explains in horeb possible reasoning why these specific halachot). If it is the former then the details matter. If it is the latter, then as long as you are doing it to your level then it is ok. I for one think it is very disturbing to think that God created intrinsic evils and was forced to create 'halachot' to safeguard us from them. I also think that it is illogical given that rabbis can pasken differently, bitul berov, 'torah lo be'shamayim'etc. And here we have it. Rationalist Judaism at its most amoratzusdik. If you think that 'hyper-halachic' books are a latter day charedi thing then you're just displaying your ignorance of the whole system. The Koren halacha books are no less detailed then the ones you're moaning about. That's because this is Judaism - welcome on board! There's such a thing as aveira. It's mentioned in the Chumash itself. It's bad for you, that's why even rationalist Jews (correct me if I'm wrong) have Yom Kippur and a mitzva of teshuva. Getting brachos wrong, even slightly, can be an aveira, even d'oraisa, even according to 'rationalists' like Rambam. So those 'hyper-halachic' charts might just help you avoid that. To the extent that someone isn't really 'into halacha', they obviously aren't really bothered by aveira, or interested in ratzon hashem in general for that matter. If that's where Rationalist Judaism takes you, then, folks, it's time to get back to Real Judaism. What do you mean by 'aveira'? If you don't say brachot in the morning is that an 'aveira'? Or forget to save mashiv haruach. Is that? Do you think all jews before the brachot and the amida was instituted sinned on a daily basis? Or that since the rabanim instituted them for our good, we are now penalised if we don't say them? I think you misunderstand how halacha works. Most laws are not part of the 613 but are built around them. We don’t do them because if we don’t we get ‘aveirot’ but because God told us to follow the rabbinical halachic system. When you ask for teshuva on yom kippur do you really think that God is standing there with tipex saying, one more tear and I'll cross this off the list? Do you believe that is how all prayer works; you convince God to do things? Teshuva (and prayer in general) is about self scrutiny, not about absolution. Rationalist judaism isn't about not wanting to follow halacha, it is about putting it in the correct perspective. The rabanim decided on halachot for specific reasons; not so they will be followed blindly as strictly and restrictively as possible. Is saying the beracha "borei pri ha'adamah" on some unidentified plant material instead of saying borei pri ha'etz" if that is what it really is an aveirah, or a "lack of spirituality"? How about saying "she hakol" on soup with a mish-mash of vegatables, broth and meat if you really don't know what is ikar and what is tafel? I know about the stories from the Lita'i yeshivot in Europe how a bachur who was invited over for a shidduch had the girl's father put out a wide range of foods to see which beracha he would say and in which order, which would presumably indicate if he was a talmid hacham or not. Read Rambam's hilchos teshuva and then tell me if teshuva is only about self scrutiny not absolution, to borrow your christianized approximation of what kappara is. My point was, firstly, that saying brachos involves de'oraisa issues according to Rambam and others, in that if a bracha is said unnecessarily then the 3rd of the ten commandments is transgressed of saying Hashem's name in vain. Secondly, the issues of what brachos get when, how, and in what order are the subject of in-depth discussion from the gemara onwards. That's because it's important. If you care about what chazal and the rishonim cared about then this will be important to you too. If not, gei gezunte heit. So no, I wasn't recommending blind following of a single recent posek. I was saying that talk of 'hyper-halachic' works as if someone invented the details recently, or lack of concern for the details of halacha, fly in the face of the world view of any major tamid chacham you care to mention. You can speculate on how this relates to the philosophy of halacha all you like, doesn't change the above. You are right. Following detailed halacha is important and shouldn't be affected by the philosophy but what the halacha is should. When issues are brought up the ruling shouldn't be the strictest opinion in each matter - just to be safe. There should be an understanding that the halachic system is not there to guard us from going to hell but to enable us to live the way God wants us to. There has to be halachic perspective. David: Your quote from the rambam is the how of teshuva, not the purpose. The purpose, as is clear from the rest of the first two prakim is kappara, especially when put in the context of yom kippur.That's part of the reason he doesn't get to your quoted statement until the second perek. Kappara is a wiping clean of the spiritual slate according to rambam and everyone else. More difficult than in christianity but, none the less, that's what it is. I don't see how you could read those first two perakim otherwise. Feel free to rationalise that into your Judaism somehow. He does also say that teshuva gemura is when you don't do it again, but that doesn't at all contradict the primary purpose, it's an additional point. "They pretty much do what their parents did before them, or follow common sense". A sure way to perpetuate halachic ignorance from generation to generation. I speak for myself, growing up in a 'yeshivish' family in the UK during the 70s and 80s. It was very rare to see either myself, my friends or indeed their parents making a proper brochoh the way they should be made. It was those halocho books that opened my mind to understand the framework behind most of what we did by route - even understanding such common things as the reason for a shabbos blech. I am sure that most of the readership and author of this blog will agree, in the same way as modern science has improved our understanding of the world, so too those halocho books should do the same with our understanding of Jewish practice. another way of looking at it is that mimetic tradition on brachot (which has already accepted certain halachic psak) is being readjudicated. not sure that is a good thing, especially depending on driver of the readjudication. הגע עצמך. Science is predicated on the belief in progression, that each generation knows more than the one before. Halacha is predicated on belief in regression, that each generation is further and further away from the Torah. This is not a new discussion. Dr. Hayim Soloveichik wrote a major piece on it twenty years ago. Long story short, to say that previous generations suffered from "halachic ignorance" is the height of arrogance and incorrect to boot. I wonder what you mean by "making a proper brochoh [sic] the way they [sic] should be made". To my understanding, the way to make a "proper b'rachah" is to know the appropriate b'rachah to be made on the food in question and then to pronounce that b'rachah. Are you suggesting that your "yeshivish" family and friends were ignorant of how to do so? I see zero contradiction between those two statements. In fact, it is completely logical for them to be moving in opposite directions. Science is about discovering something new. The more you discover, the more you add to your sum total of knowledge. So long as you have good methods of retaining the information and passing it on to the next generation with minimal losses, the sum total of knowledge will only increase. Why? Because there is an external source of information - the universe - that is unchanging; science is all about getting as much information as possible from that source. If at first we know nothing about the universe, our knowledge can go nowhere but up. Halacha is about holding on to something old. If it is assumed that God's will is expressed most perfectly in what he told Moshe, it is literally impossible for that knowledge to do anything *but* deteriorate. Barring the sudden, verifiable discovery of works written by ancient rabbis or of Moshe himself, we can only forget or misinterpret more and more as we go from generation to generation. There is no unchanging, external source of halachic information that we can consult and learn from. We are starting from 100% knowledge and trying to hold on to as much as possible, not starting from 0% knowledge and trying to increase. So with halacha, all we can do is hope to minimize how much we forget from year to year. Each system works in a perfectly logical, common-sense fashion that is dependent on its own individual circumstances. There is absolutely no contradiction between the two. hmmm... "sinners separated into their own groups" . . . it's going to be an interesting Yom HaDin when everyone realizes that only HaShem is capable of "deciding" who is a "sinner" based on the group s/he chose to affiliate with. For my part, I would like to see some non-standard midrashim, something that goes against the grain. I was privileged to be a talmid of rabbi Aryeh Leib Baron, z'l. He told us a midrash on the akeidah that I still remember. Most of the midrashim I learned tell us how happy Avraham and Yitzchak were to go to the akeidah, that they were joyous to do Hashem`s` will. The midrash that my rebbe taught us was far different. He got it from the Yalkut Shimoni, and it said that their tears were mingled, the one with the other. And why was this so? Because, had Avraham avienu not cried, he would have been a murderer. There are other explanations I've seen, and not all from the standard texts. But they fit beautifully, and that's what I would like to see. I disagree strongly. The point of studying Torah, as Rabbi Slifkin vigorously argued, is to know how to act. Many of us did not grow up with super talmidei chachamim in the house, and even if we did, there are numerous halachic situations that we may not have come across at home (or, if we did, everyone muddled through at the time). For those people who take their Judaism seriously, it is super important to have halachic guides. Over the last 10 years I have had many shaalos in regards to hilchos Shabbos, for example, and I often have been tempted to buy "The 39 Melachos" (the grew volumes) but have not done so because I know they, like all English halachic works, are machmir in nature. I would love to be able to buy a hilchos Shabbos written by Rav Schachter, for example, or a rabbi who takes into account people's lives and the importance of minhag yisrael (someone who doesn't feel comfortable saying "our grandparents were all wrong"). A "Shluchan Aruch" written by a reasonable rabbi is desperately, desperately needed. In the absence of such a work, I don't buy any. Most people, though, by default will buy one of the available works out there and follow the tenor of its rulings thinking they represent Divine truth. Yehudah, may I suggest Rav Eliezer Melamed's excellent 'pninei halachah' series (he is RY of Har Brachah - a hesder institution) if you can handle basic modern Hebrew. He is not overly machmir and the seforim are very clearly and methodically written. He has 2 volumes on hilchos shabbos. The two volumes on Shabbat were just translated into English. Other volumes have been translated as well, and more translations are planned. (And more Hebrew volumes are in the works as well.) The volumes are very popular across the spectrum in Israel. Is that the same Rav Melamed who wrote that any talmid chacham who doesn't recognise the absolute and unique supremacy of Rav AI Kook over all his contemparies and subsequent scholars should be paid no attention to and his Torah is worthless? Just curious as to how that resonates with this chevra. Ben, I imagine you are misquoting Rav Melamed (he may have said or meant to say that if you don't recognise Rav Kook as a godol, you don't deserve to be reckoned with). Even if you're not, how exactly is that relevant to the discussion. I have read his seforim on hilchos shabbos from cover to cover - they are excellent and quote wide range of sources. If you have not read the seforim, you are not qualified to comment. If you have, by all means provide a critique, if it is reasonable. I don't know, but his father is a famous rav too, so perhaps you're confusing them. Certainly this series seems more open than that. That Is not precisely what he said. He said that anyone who has not studied the works of Rav Kook has severe limitations in his appreciation of Jewish philosophy so could not qualify as a Gadol hador.? Still quite an extreme statement, but no need to be motsai shem ra. I think it is fair to say that Rav Kook is the ony Jewish thinker of the last 200 years that had any real understanding of the spiritual crisis that afflicts both the modern Jew and modern man in general. He is the ONLY one who had a truly broad perspective of how the Torah relates to the WORLD in general and the Jew's place in it. Today, unfortunately, the prevalent view in the scholarly world of the yeshivot and the Hasidic courts is a modified form of Dr Timothy Leary's "turn on, tune in, drop out"! I didn't understand what DF was saying as meaning that studying the halacha is not important and I am not saying that one should not bother studying hilchot berachot. However, the Artscroll book I referred to was something like 300 pages long. It would take a devoted student a long time to really absorb what is in it. Whatever time is devoted to it is taken away from something else. What I am saying is that the hyper-halachic mentality detracts from a proper prioritization of ones efforts and times. I recently read a Haredi writer say that the ultimate essence of Jewish spirituality it to be yotzei the maximum number of shitot...i.e. essentially to be as machmir as possible. Is this really the message of the Torah? Why do we even bother to study the Talmud and the Rishonim who often give lenient opinions? Being super machmir extracts a price from those who agree with him. Of course there are those who are machmir on themselves but lenient with those who ask for guidance. I am not talking about that...I am talking about making being as machmir as possible as a end in itself and viewing that as the ultimate form of Jewish spirituality. I recently read a Haredi writer say that the ultimate essence of Jewish spirituality it to be yotzei the maximum number of shitot...i.e. essentially to be as machmir as possible. Is this really the message of the Torah? We really do need an alternative to Artscroll halacha. My feeling is that the best alternative is an approach which places a premium on intellectual honesty, truth, and contemporary national realities. I feel that Machon Shilo and Rabbi David Bar-Hayim takes us in that positive direction. Certainly halacha is important, the problem is with the minutia of halacha that have accumulated over the centuries. The original book of halacha was the Mishna. The important principles were included already therein. If one wishes, we can expand that down to the Shulchan Aruch. After that point, one enters the realm where - we have to train ourselves to say publicly - it really doesn't matter too much one way or another. Whether we shake the lulav this way or that way. Whether the three steps after the Amidah are done this way or that. It simply doesn't matter. Even the frummest of the Agudah world's Gedoilim would say this privately on many occasions, and express frustration that people were making mountains out of molehills. It. Just. Doesn't. Matter. Is this point subject to interpretation? Of course. All of halacha is. But we need more people to start saying it forthrightly and publicly: It. Just. Doesn't. Matter. So if Artscroll and fellow travelers want to produce 300 page books on the halachas of sneezing, or 100 page monographs on how to do Haghba, or 1000 page tomes on the size of a girl's skirt - let 'em do it. I want no part of it. Well said. Brilliant, in fact. There`s a reason why the Aggadetah is so important, and why we are treated to Eliezer, the servant of Avraham, repeating in detail that had occurred at the well. It's because the Torah loves to hear about what the tzadikim did. And not only the Torah, but we love hearing it as well. WE need a story to identify with, and mountains of excruciatingly detailed Halacha doesn't have the same effect as one well told story. In some cases you're right. But even then, it would be nice to see that reflected in a halachic work. For example, let's say (and I don't know if I'm right or not) that there is a machlokes whether one should make a bracha on putting on a tallis if one is serving as chazzan for Mincha. I would love to be able to read in a halachic work that states -- in the style of the Shulcan Aruch -- "One should make a bracha... And there are those whose custom is not to." Finished. End of story. I don't need reasoning. I just want the final halacha (in the style of the Mishna, Mishneh Torah, and Shulchan Aruch) and, most importantly, I would like validation (to use a terrible modern buzz word) that what I'm doing is okay. Or let's pick hagba, as you did. Wouldn't it be nice to see it stated in a halachic work, "There are many customs on how to perform hagba. Everyone should do in accordance with his community"? This is the kind of halachic work I yearn for. No lomdus. Plain old halacha with plain old respect for minhag yisrael. Over the last 10 years I have had many shaalos in regards to hilchos Shabbos, for example, and I often have been tempted to buy "The 39 Melachos" (the grew volumes) but have not done so because I know they, like all English halachic works, are machmir in nature. Actually, my limited experience is that he does bring down a number of positions even when recommending Chumra. Although, he does sometimes have other stuff in the Hebrew that is not in the English. The most egregious case I found was where he brought down the position that double tying a shoe on Shabbos is disallowed and then in the Hebrew notes explains that someone showed him that a double knot can be undone by pulling on one string (just as the regular shoe-tying knot can) and that, if so, there is really no problem to begin with. Overall, though, it is is a worthwhile book. Can you elaborate on R Chaim Soleveitchik's reasoning why there is no such thing as halachic ignorance and it is arrogant to suggest there is. My mother in law and her friends thought that the purpose of a blech was to cover an open flame from being seen on shabbos. And she was frum. Do you not agree that the upheaval of two world wars and before that caused a massive disruption in chinuch and all that goes with it? Why is it arrogance to suggest so. Please stick to a clear practical response, not a philosophical one. Yes they knew they had to make a brochoh. But not the foggiest concept of kedima b'brochos or Ikar Vtofel. It was halachic books like Artscroll that brought those concepts to the average bal habos. Not that I am a fan of Artscroll, too much a jumble of opinions. But I am focussing on the benefits of those types of books. The original book of halacha was the Mishna. The important principles were included already therein. If one wishes, we can expand that down to the Shulchan Aruch. You seem to have skipped some important parts in between. Rav Yosef Karo himself wrote the Bais Yosef and Kesef Mishneh as well the Shulchan Aruch. I would love to be able to read in a halachic work that states -- in the style of the Shulcan Aruch -- "One should make a bracha... And there are those whose custom is not to." Finished. End of story. I don't need reasoning. I just want the final halacha (in the style of the Mishna, Mishneh Torah, and Shulchan Aruch) and, most importantly, I would like validation (to use a terrible modern buzz word) that what I'm doing is okay. As in any other area of knowledge, this isn't really possible. Yes, you can mention some clear cut cases, but life is not clear cut. To make an analogy, would you just ask your doctor to give you a list of clear cut medical rules that you will follow without consulting them? I think that we all understand that would lead to disaster. Either you gain some real understanding or you gain enough to know when to ask the expert. I would note that the trend towards specialization has occurred across all fields of human endeavor. We are much richer that in the past and can afford more intellectuals and fewer water carriers. It is also cheaper to publish than ever (witness this blog and the comments). The earlier, simpler times where also times when I would not want to live. 90% of that essay is long words and historical academism with a sprinkling of philosophy. Ironically the sort of practice he opposes. Probably about 10% is relevant to my point. The upshot is that all Jews who ate fish on Sabbath (and Jews have been eating fish on Sabbath for, at least, some two thousand years) have violated the Sabbath. All Jews that eat fish on Shabbos? Seriously? We grew up knowing that you can't take the bones from the fish. Hence the widespread custom of geffilte (minced) fish. I would suggest that any Jew that was unaware of this rule was due to a lack of chinuch. In any event the long and short of it is that he offers no reasoning once you strip out the waffle other than bringing other examples where perhaps there have been chumros like the shiur of an olive. To which I agree 100%. Ok, I have the read the essay again. And again, I do not get it. What is the relevance of his anecdote on noting the difference in ruach ('ambience' is the best translation I can come up with) at ne'ilah time between the shul he davened at when he was young, where most of the congregration were no longer frum, and the ruach in the Israeli Yeshiva in Bnei B'rak? Incidentally, I also noticed the difference, coming from Gateshead Yeshiva to Ponevez/Mir some thirty years later. But so what - let him go to a chasidic yeshiva at ne'ilah time, if he is bothered. Is he trying to suggest that although the non-frum congregants in his old shul (presumably he assumes) ate fish the wrong way on Shabbos, even in the days that they were frum, they must have somehow been correct in what they did, hence look at their devotion at ne'ilah time. Conversely, those bochurim in B'ney B'rak who presumably knew (or as he seems to imply 'made up') the correct way to eat fish on Shabbos (it's actually not that hard anyway, to pull the flesh of the fish whilst holding the bone still, with a bit of practice) were clearly barking up the wrong tree, as evidenced by their (apparent) lack of devotion at ne'ilah time. Is that p'shat in what he is saying? Is that serious academic scholarship? Whilst the difference in methodology between the oruch hashulchan and the mishne berurah is well known, you cannot simply suggest that applies to everything cart blanche. The bottom line is that he seems to suggest that there are three torahs, torah sh'biksav (written), torah sh'balpeh (oral) and toras 'those people who unfortunately were not zoche (merit) to live in a peaceful time, suffered persecution, poverty and lack of chinuch and hence were ignorant of some of the basics'. But all are valid, so it doesn't matter. the thing about the fish is to point out that people had a way to do things that wasn't always consonant with what is in the books. but today, now that we have abandoned 'the way things got done' and follow books slavishly then people are more likely today to get all snobby about those who do eat fish and pick the bones out. Someone just emailed me a flyer for "Rabbi Yisrel Dovid Shtern of Bnei Brak, בעל מחבר הספר "ערוב תבשילין הערוך", ב חלקים." Did everyone get that? TWO VOLUMES on the subject of ....eruv tavshilin. Eruv Tavshilin!!! I rest my case. QED. At a certain point, you learn so many opinions and so many different arguments that you are left confused, not enlightened. Take making a bracha for dessert or making hamotzi on pizza. I've heard a million opinions and arguments, changed my own practice several times, and today am simply, well, confused. Hearing a million opinions with many well-reasoned arguments does not always help. Sometimes it hurts. In many cases, I would just like to know minhag yisrael or mainstream psak and be done with it. I'm arguing for an updated Mishneh Torah or Shluchan Aruch -- simple, to the point, and reflective of minhag yisrael. The problem with those sort of simple books is that you have no ideas about when you are being lied to. By definition you are in fact being lied to because halacha is a living breathing thing which changes with time and place. But that's not what I'm talking about here. What I mean is that in those sort of books you will almost always be presented with an extra machmir haredi-ideology based psak. And any relatively uneducated jew who buys the book will now think that that IS the halacha. To my unending misery and disillusionment ive found out that its very very often just not the case. Even on simple non controversial matters. Truth is - you can't trust anyone. No ra'ayah. Gefilte fish was, until very recently, minced fish cooked inside a fish (usually a carp) which, if you've ever had the dubious pleasure of eating one, is chock-full of bones. I'm not sure that I agree 100% with his point here either, but your objections miss the mark. Here refers to a Biur Halacha which explicitly attempts to defend the practice of removing the bones from the fish before serving it, as well as removing bones during the eating process. The Chafetz Chaim did not consider this to be ignorance. Also, he shows why the gefilte fish legend, even if true, doesn't provide an adequate explanation. (Popular lore has it that gefilte fish was introduced into the Sabbath menu to avoid the very problem of borer. Be the accuracy of this popular explanation as it may, gefilte fish is an East European dish, and Jews had been eating fish on Sabbath for some fifteen centuries before this culinary creation. Even in Eastern Europe, I know of no instance of someone being labeled a mehallel Shabbas and run out of town for eating "non- gefilte" fish. Indeed, in the famous communal ordinances against laxity in Sabbath observance, there is no mention of fish eating whatsoever. Even rebbe tisches feature whole fish. Though today, they usually serve salmon (a modern fish) which is easily deboned. Agreed, the MB justifies it. Ad as the footnotes point out this is atypical for the MB as he is here using the methodology of the Oruch Hashulchan. In any event, if you look it up (it's a Buiur Halocho) the MB does not offer any explanation as to why the hamon om (multitude of people) are not makpid (careful). One can easily read into his words that they are not makpid as they do not know any better. He finds sources for them to rely on, but the whole tone is that it is a melamed zechus and nothing more. Post Facto justification. Certainly no proof for Hayam Soleveitchik's theory. Look, all said and done, we know that from 1800/1850 to 1950 there was tremendous persecution, poverty etc in most areas of Europe. For a myriad of factors, chinuch was not what it should be. I heard once (no idea if true) that we have the mikva records for pre war Warsaw and the numbers attending were far lower than the number of married women). Is Haym S going to suggest that mikva attendance is a modern textual invention? And that the women relied on rishonim for halocho le'meysa that no women is a nidda d'oreysah as there is no hargoshso? And so, in the dark shtetl frozen winter night with drunken goyim around, they had what to rely on? Anyway back to the point. If there is a simple answer that halochos simply were forgotten due to persecution etc and a reason that takes an essay of 20 pages of waffle, long words and mostly irrelevant points to provide a theoretical and un-evidenced answer, I know which one I prefer. The essay confuses throughout chumras and basic halochos. If the shtetl Jew did know there was a concept of ikur v'tofel in brochos its because he was never taught it. Not because that halochoh did not exist in the Shtetl but only in texts which according to HS were never meant to be followed practically. Actually, the MB does not say 'Hamon Am' - he just says "those people". "I know of no instance of someone being labeled a mehallel Shabbas and run out of town for eating "non- gefilte" fish. Indeed, in the famous communal ordinances against laxity in Sabbath observance, there is no mention of fish eating whatsoever." Is Haym S not aware there is a way to eat fish 'correctly', even according to the strict opinions? It seems from his essay, that he believes that there is no way to eat fish in accordance with the stricter opinions, and they there must have eaten fish the 'wrong way' and relied on the lenience opinions. I'm not defending the article as a whole which I'm just now reading for the first time. I also think that he may be stretching things a bit. I objected to your reasoning based on "gefilte fish" for which he has a pretty good response and also your implied claim that it was only a few people ignorant of Halacha who removed the bones from fish before eating it. 1) He doesn't say "Hamon Am". He says that the "Hineih Ein Haolam Nizharin Klal L'Dakdek Bazeh". It implies that pretty much nobody is careful about this. 2) You are right that is is a Limud Zechus since he says "Amarti L'Chapes Aleihem Zechus". But a Limud Zechus can even be Lechatchilah. If the entire nation is doing something that appears wrong at first glance, then it may really be that the halacha is being interpreted wrong. The authorities never explicitly deal with this case. And then he finds a pretty good analogy to shelling which is permitted when done immediately before the meal (Prof Soloveitchik calls this a stretch, but it doesn't seem to me to be). 3) BTW, the Chafetz Chaim goes even farther when it comes to fish set in front of you where you pull the bones out while eating: there he says that it is clear that you should not stop anyone from doing so, since he showed in a previous B"H that there is clear support for this in the Rishonim. If someone eats fish in the way that you term to be the "wrong way", they are actually completely fine to continue in this way according to Chafetz Chaim. The point being, that the way that the halacha is practiced does have an effect on how we interpret the "book" halachah. Again, I'm not defending the essay as a whole or the conclusions drawn from it by DF. I agree that he overstates it a bit. I think that a better argument is "Jews have been eating fish for a long time, yet, until very recently, no one noted that by a strict reading of the halacha, the way that you eat fish on Shabbos should be very different from how you eat it during the week, and we have no evidence that they ever did this. This first real mention of this indicates that everyone ate fish on Shabbos in the usual way". Look, all said and done, we know that from 1800/1850 to 1950 there was tremendous persecution, poverty etc in most areas of Europe. For a myriad of factors, chinuch was not what it should be. I think that this is weak. It doesn't take a Talmid Chacham to copy the way that you ate fish last Shabbos. And the testimony of the Chafetz Chaim is that no one is careful with this. There is clear evidence that people always ate fish in the usual manner on Shabbos and that therefore this has to be Muttar. And if your interpretation of Halachah indicates otherwise, then there might be something wrong with your interpretation. 1) I think that the solution here is "Aseh L'Cha Rav". Ask him what to do and follow it. 2) Know that whatever you do, there will be others that do differently. So rather than changing on the Pizza thing, pick a way of doing it and follow that. 2) My initial impression with R Ribiat's book is that it will pretty much do that for you. But you really do want to know some amount of variance. E.g. there are arguments about whether or not you can unclog a toilet on Shabbos. IIRC, he brings different opinions. This is important to know because you may act differently if one of 3 toilets clogs on Shabbos vs. your only toilet clogs. BTW, I'm not a Rabbi, so don't take my advice on Halachah. "I know about the stories from the Lita'i yeshivot in Europe how a bachur who was invited over for a shidduch had the girl's father put out a wide range of foods to see which beracha he would say and in which order, which would presumably indicate if he was a talmid hacham or not." Old news. Legend (is it legend?) has it that the בית הלוי was pressured into divorcing his wife because he "failed" his father-in-law's ברכה test. I believe the story was that he didn't know the right order of piyutim- maybe in Selichot?- as it wasn't his minhag (and is not the minhag of his descendants) to say piyutim. And that it was a setup. It wasn't a bracha issue. Something else. Karlinsky discusses it in his book 'shalshelet brisk' or similar name. Not explaind, how the f'i'l was a lubavutcher, and if it inflluenced attitude towards chassidim. And whatever happened to the daughter? Legend is that the f-i-l regretted chasing him out (not because of who he became.) Its in karlinsky.